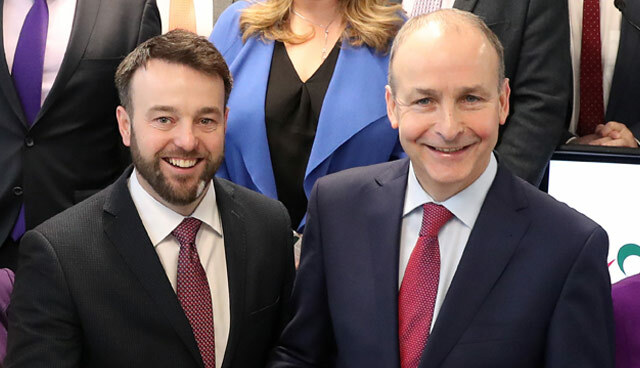 Fianna Fáil and the SDLP put an end to months of speculation about a possible merger by announcing a ‘strategic partnership’ at a press conference in Belfast in late January. Party leaders Micheál Martin TD and Colum Eastwood MLA announced the partnership as “unprecedented and historic”, with a stated intent of restoring Stormont’s Executive and the public’s “faith in politics”. Nichola Mallon MLA, the SDLP’s deputy leader, said that the partnership is one of solutions, policies and “a politics that puts people’s interest and needs before party”. Eastwood and Mallon included, 11 of the SDLP’s 12 MLAs were in attendance at the press conference. Missing was Belfast South MLA and party spokesperson for finance and Brexit Claire Hanna MLA. With Fianna Fáil lagging behind Fine Gael, whose minority government they support through a confidence and supply agreement, and the SDLP having trailed Sinn Féin since being overtaken as Northern Ireland’s largest nationalist party in 2004, Hanna said that the partnership did not represent her personal politics and that it “adds no value” to the SDLP’s electoral ticket. While outlining the priorities that will be tackled by the agreement – Brexit and the delivery of public services – Martin said that the current crises had caused a paralysis in the public’s engagement and caused people to “lose faith in politics and to believe that progress is impossible”. Martin also mentioned that he would be speaking to Sorcha McAnespy, the Fermanagh and Omagh District councillor whose unauthorised announcement as Fianna Fáil’s first ever northern candidate led to the removal of deputy party leader Éamon Ó Cuív and deputy Seanad leader Mark Daly from their posts, about her future position. The announcement was made before the proposal had officially been voted on at an SDLP conference in Newry on 9 February, but Martin confirmed that the Fianna Fáil parliamentary party had approved the move “unanimously”, although not every member had been in attendance for the vote.